This course is designed to provide the piston pilot the experience necessary to transition into the complex and high performance arena of jet aircraft. No matter what your background is, this course will provide a foundation of the basic fundamentals that will be demanded in the jet transition flight training process. 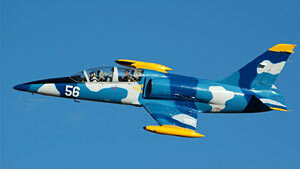 The course will also provide you an opportunity to fly a jet aircraft, the L-39, as often as you wish. The Jet Warbird Training Center specializes in training low time piston aircraft pilots for the complex jet warbirds that are currently on the market. You have two of the best jet transition instructors available to teach you at your pace and at your current experience level. We recognize the need for you to fully understand what is required of you to safely fly a jet. As part of this training you will receive: high altitude, high performance, and complex endorsements, if required. 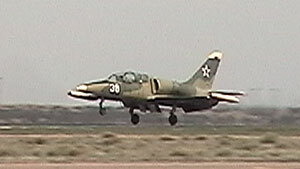 The cost of the training varies with the number of hours you fly the L-39. Ther is no charge for ground school. We are always available and can fly on relatively short notice. The weather in Santa Fe is VFR more than 300 days a year. Our practice area is ten miles from the airport and the traffic permits excellent training with little to no interruptions.